Mafia III is set in the open world of 1968 New Bordeaux, a reimagined version of New Orleans bustling with activity and complete with era-inspired cars, fashion and music. After years of combat in Vietnam, Lincoln Clay knows this truth: family isn’t who you’re born with, it’s who you die for. Now, back home in New Bordeaux, Lincoln is set on escaping his criminal past. When his surrogate family, the black mob, is betrayed and wiped out by the Italian Mafia, Lincoln builds a new family from the ashes of the old and blazes a path of military-grade revenge through those responsible. Intense gun fights, visceral hand-to-hand combat, white-knuckle driving, hard choices and street smarts will all be required to survive the mean streets of New Bordeaux. But with the right crew, it’s possible to make it to the top of the city’s underworld. 2K and Hangar 13 have announced details for the collector’s edition of Mafia III, the next installment in the popular organised crime game series. The Mafia III Collector’s Edition is packed with physical and digital items, providing a window into the sights and sounds of a turbulent 1968 New Bordeaux, Louisiana, the seedy criminal underworld of Mafia III. The Mafia III Collector’s Edition will be available for PlayStation4 computer entertainment system, Xbox One and Windows PC on October 7, 2016. Those who pre-order any edition of Mafia III will receive the Family Kick-Back bonus, which includes three exclusive vehicles and weapons available to players at launch. Mafia III: Official Soundtrack of New Bordeaux – 180 gram vinyl pressing featuring some of the 60’s greatest hit makers, including Otis Redding & Carla Thomas, Sam Cooke, The Animals, and more. 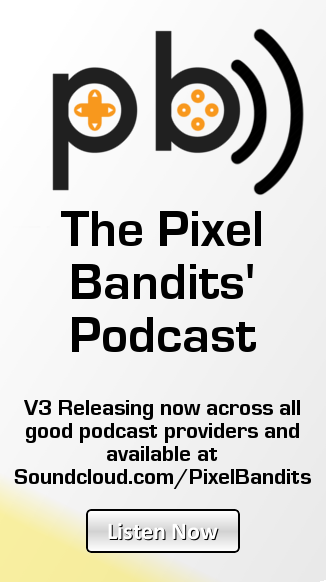 The vinyl is a sampling of the larger in-game soundtrack, that includes an eclectic mix of Rock, Rhythm and Blues, and Pop, all colliding against a backdrop of war, civil unrest, and sweeping social changes that defined the 1960s. Mafia III: Original Game Score – 180 gram vinyl pressing of the original game score for Mafia III. Composed by Jesse Harlin and Jim Bonney, two of the industry’s great composers, the Mafia III original game score is a Rhythm and Blues inspired tour through a city ruled by organised crime and corrupt officials, and the setting for Lincoln Clay’s emotional story of loss and revenge. The Art of Mafia III Collectable Art Book – A 56-page visual look at the creation of New Bordeaux, a new game world fashioned after New Orleans in the summer of 1968. 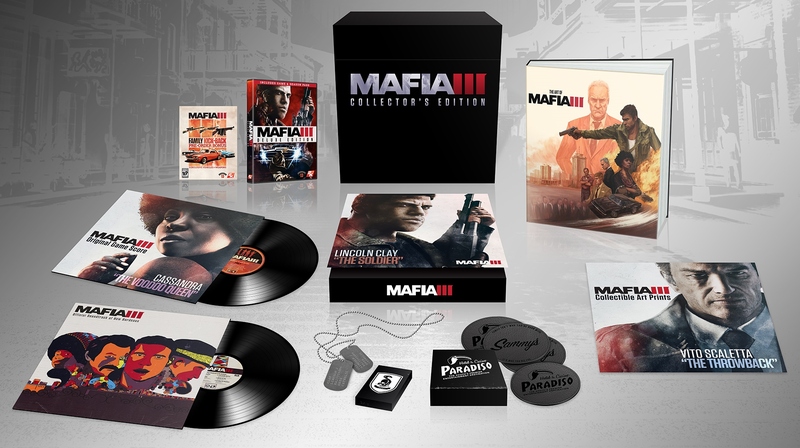 For the track listings of the Official Soundtrack of New Bordeaux and Original Game Score, plus complete Mafia III: Collector’s Edition details, visit: https://blog.2k.com/news/en-whats-inside-mafia-iii-collectors-edition.